Soft indentations, irregular time-worn edges and subtle shades – Parisian is reminiscent of characteristic French limestone flagstones. Five different sizes allow a completely random pattern to be laid, making it a great option for covering large areas. This product will age to give you an authentic look which is both unique and unmatched. With it’s deep, heavy riven surface, Rectory Paving is full of character, ideal for creating idyllic spaces with a rural impression. The traditional appearance of Rectory gives refinement to paved areas. 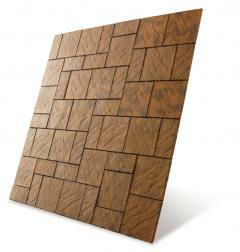 Available in six sizes for both traditional and random paving patterns. 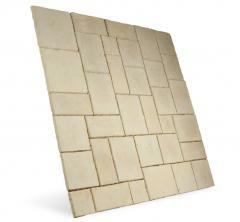 The Cathedral Paving range has a distinct rough-hewn texture that has been blended into three natural tones. Cathedral is available in a variety of sizes and three natural looking colours enabling you to create exciting and individual designs. 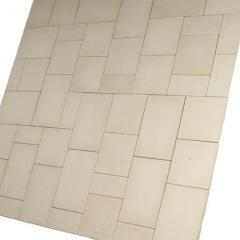 With its light coloured finish, the Baroque range replicates natural travertine stone. the Baroque Paving Pac covers 7.28m2. 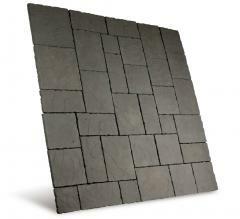 Our new Chalice paving recreates the look and feel of natural stone with a gentle, riven surface. Available in two unique colours, Honey Brown and Mellow Gold. 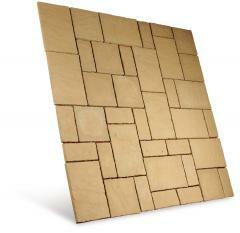 Both colours combine various hues to produce a stunning, warming blend that recreates the appearance of natural stone. This range includes a choice of 2 pacs in various sizes,(5.76m2 and 7.29m2 kits) giving an authentic-looking random pattern.